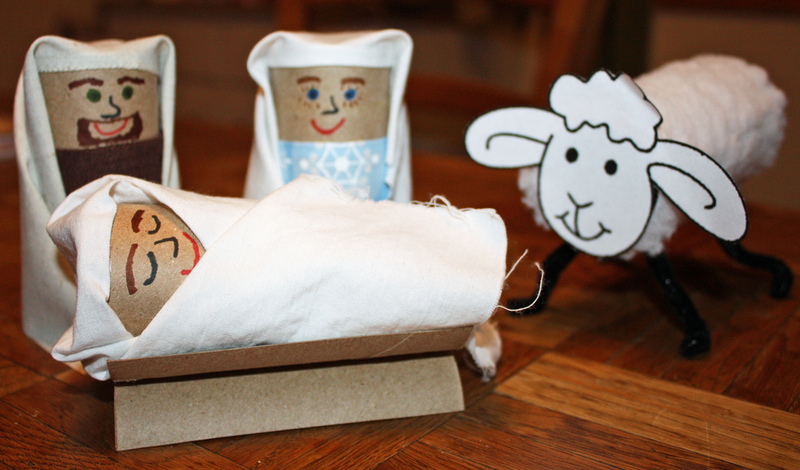 Nativity scene by cheerytomato with Flickr Creative Commons License. That 6,500 word novella, never out of print, mentions Jesus not once, nor does it mention Christ other than referring to Christmas 24 times. There is one lone mention of “Christian spirit” and a nod to manger scene. And Christ-mass is not about the coming of Santa Claus, that warped, commercialized version of a 4th century Greek bishop. It is about the coming of Jesus. Yet in its earliest centuries, Christians did not celebrate the birth of Jesus, which is only mentioned in two of the four official biographies — the gospels. Then we come to the American colonies. The Puritans wanted nothing to do with Christ-mass, so too for the Quakers and other strict reformers. On the other hand, non-Christians — Jews, Muslims, Hindus, Buddhists, agnostics, non-believers — might be surprised that some Christians, fully embracing a persecution complex, feel Christ has been ejected from Christmas when they see signs of Jesus all around. I heard the country tune “Mary, did you know?” in Staples, saw it on Facebook, and so on. We may not be a Christian nation, but there sure are lots of Christians around. You better believe it. Maybe when the Christians start practicing the gospels, loving their enemies and showing charity to the least among us, we’ll be a Christian nation some day. For the moment, enjoy a blessed Christ-mass, even if you don’t attend one, go to a live Nativity scene the way Francis of Assisi invented it 800 years ago, and have a happy holy-day for a feast that replaced a pagan holy-day for the rebirth of the sun at the winter solstice. If you’re a non-Christian or a lapsed one, we wish you Peace and Blessings in the New Year. Observe the truce in the war on Christmas.